There are many varieties of wooden flooring available at Kawana Flooring Warehouse, from engineered timber flooring, to hardwood, so make sure to ask our team about what we have in stock. Be wary of cleaning products - we can help you! Timber flooring comes in one strip, two strip or three strip designs. There are solid or engineered panels to choose from, however not all timber is available in each type. Engineered panels, whilst more resilient overall, are only available with some timber species. There are solid timber floors, floating floors, parquetry floors and hardwood floors to choose from and Kawana Flooring Warehouse is here to help you make your decision. 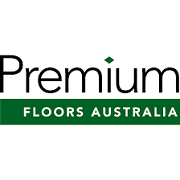 Back in the day, most timber floors were predominantly pine, however most new Australian flooring timber is hardwood, due to its stronger resistance to indentations. Timber flooring comes in various grades and colours. The grade results from the visible natural features particular to each wood and the colours tend to range from blonde woods such as Tasmanian oak, Blackbutt or Alpine ash through to darker browns like Turpentine and Brushbox. Of course, there are also the beautiful red timbers like Jarrah, to consider. Timber flooring is stunningly beautiful and well worth the investment as long as you know the do’s and don’ts. Let us help you make an informed choice when it comes to the flooring of your personal space. Come in and view our affordable range of timber flooring at Kawana Flooring Warehouse, Sunshine Coast. You can see our full flooring range here. Spring is here and that means two things: It is time to redecorate and allergies are in full swing. While spring is a gorgeous time of year for new beginnings and productivity, it also brings with it waves of pollen, driving people with allergies up the wall. So if you’re looking for allergy and asthma-friendly flooring options, don’t worry, we’ve got you covered!